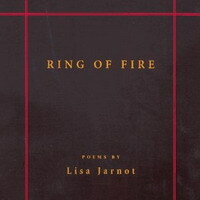 Daily Thoughts >> Greatness: Lisa Jarnot - Ring of Fire, oratorical Whitmanian syntax. Another contemporary canon-ball. 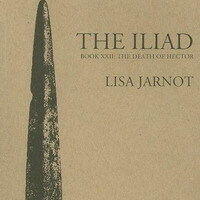 This poem, my first exposure to Lisa Jarnot, made a big impression on me when it appeared in Colorado Review about five years ago. In fact, it was one of the poems that inspired me to start writing again after a grad-school-length period of bad writer’s block. Or total atrophied creative wastage is more like it. The delights are immediate and plentiful here: the oratorical Whitmanian syntax ("the / conversations yet antarctic") filtered wittily through Steinian repetition ("you street / with white antarctic birds and cabs and white / antarctic birds you street"); the ironic disjunctive arbitrariness ("and soup") co-existing with urgent Personistic urban joy ("you the lover of the / banks and me and birds and others too and / cabs"); the accretive, roughly chiseled consonantal bulk of the glacier-like whole nestled softly in the white cloud-pillows of its imagery. Another way of thinking about the line-endings is that they’re not at all concerned with such form-and-function paradigms of structure: that their role, rather, is as socially (as opposed to formally) motivated markers of stylistic affiliation with one tradition of lyric rather than another. But then, some might say that the same is true of conventional English metrical composition (for example), at differing levels of self-consciousness in its different historical phases as an emergent, dominant, and residual practice, or some combination thereof.